Spring has sprung and I’m sharing my favorite bright and cheery nail color with you guys. The color is Lounge lover by Essie and is a pretty peachy/coral hue. It’s not overly bright in a tacky way, it’s actually very feminine and pretty. It also looks amazing on all skin tones. Shop Essie polish HERE. Every year Spring/Summer rolls around, I get so excited to use my bolder and brighter lip colors, eyeshadows and blushes! There is no better time to incorporate beautiful color into your makeup routine. 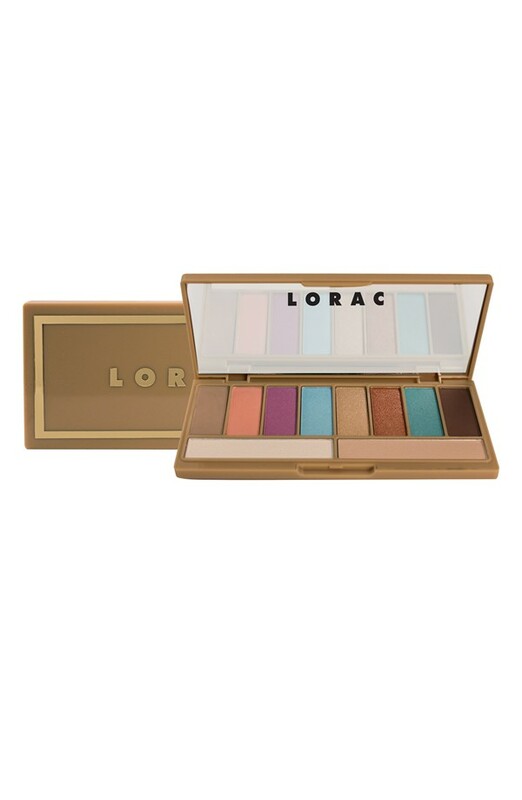 This Spring/Summer Lorac released 2 great colorful palettes that are sleek and perfect for travel as well as reasonably priced at $24. Both palettes feature 10 shimmer and matte shadows which include 2 oversized neutral shades allowing countless color combinations. The palettes are quite similar, so if you can only afford one, don’t worry! One palette (After Glo)does feature some brighter colors than the other palette (Summer Glo) which you will see in the pictures below! It is just a matter of taste and whether you want to remain more on the “neutral/colorful” side or the ‘bright/colorful” side. Either way, these palettes are PERFECT for summertime and are So pretty! 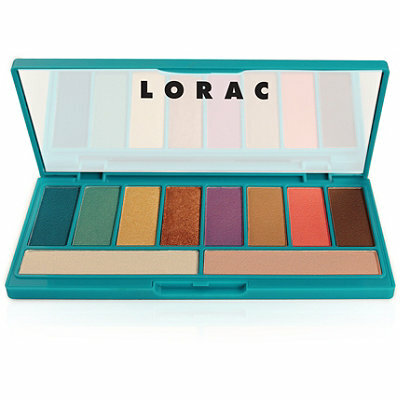 Lorac Summer Glo palette $24 This palette is colorful, but includes slightly more subtle colors. Lorac After Glo palette $24 this palette has more “BAM” to it, slightly brighter, bold colors. My Favorite Bright Pink Lipstick! 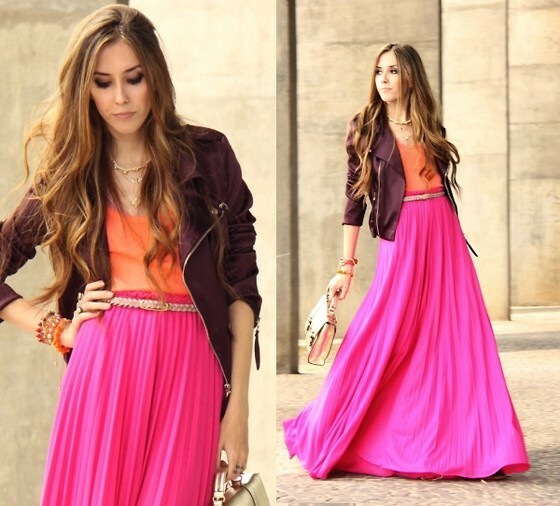 I’ve been rockin’ a bright Barbie pink pout all summer long and I love it!!!! (I’m wearing it in my last post if you haven’t seen the color yet) I have gotten so many inquiries about my pink lips lately and thought I’d share the details with ya’ll! My lipstick of choice is a MAC shade by the name of Candy yum yum! It’s very bright and so much fun to wear! It is available at MAC for $15. 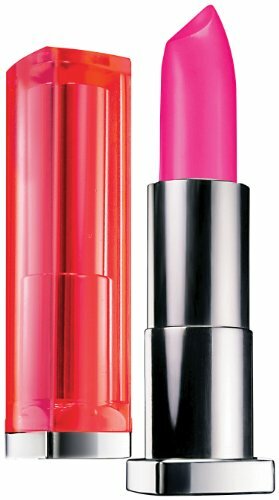 If you’d like a super budget friendly alternative, try Maybelline’s Fuchsia Flash from their color sensational vivids line! Available at Target for $5.54. It’s officially March and are warmest days are ahead of us(here in the US) and I am so excited to wear my light and lovely makeup looks! 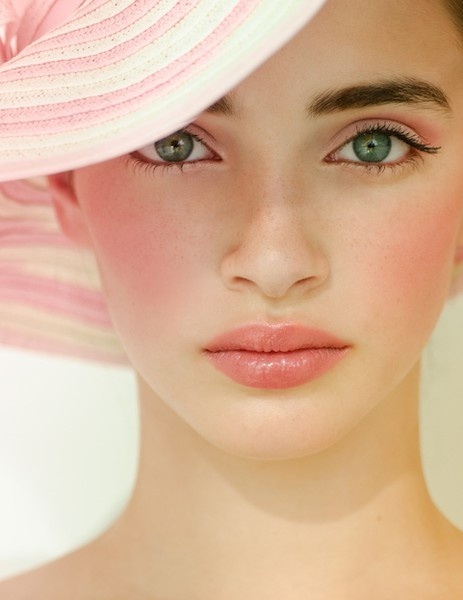 From nudes to brights to pastels, warm weather makeup looks are my absolute favorites! I found so many great inspirational looks (neutral eye and bright lip combo is my fav!) while searching Pinterest today and here are some of my favorites! 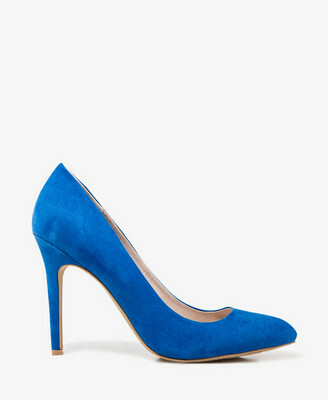 While browsing at Forever 21 this past weekend I stumbled upon a display of beautiful pumps in a variety of spring colors! I had to snap a pic on my phone! 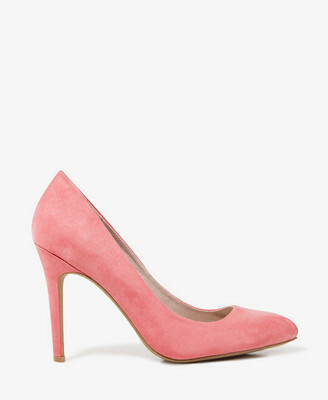 Faux suede pump $29.80 Check it out! The time has come……another Target designer collaboration is upon us! We’ve known about this one for a while but now we have pictures to drool over! Let me start by saying this one will BE BIG…..Missoni big! The collection is very wallet friendly ($14.99 for earrings–$199 for a leather jacket) and the pieces are super cute with a feminine aesthetic that includes a palette of bright colors, florals and some color blocking. Although the collection is launching mid Winter, it is oh -so Spring!!!! 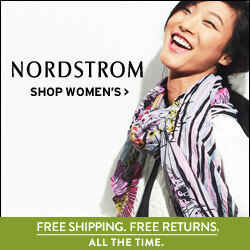 There are pieces for everyone including separates, dresses, shoes and accessories. Mark your calendars now, seriously! February 10th is the day this 80+ piece collection will hit your local Target stores!